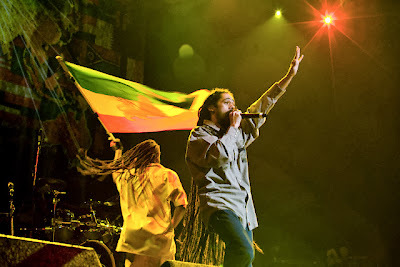 FEELING IRIE: An enlightening documentary examines the continued impact of reggae and dancehall. 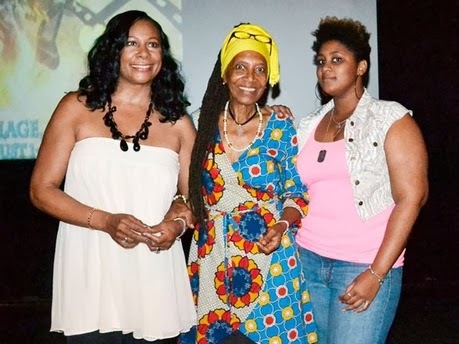 Below, Barry (left) with Barbara Blake-Hannah and Carla Moore at the 2013 Reggae Film Festival in Ocho Rios. Is the wholesome appeal of home-grown Jamaican music on the decline? That's essentially the dominant idea at the heart of singer-songwriter Claudja Barry's enlightening investigative documentary Losing Paradise and Music, which takes a piercingly candid look at the impact of our musical culture at home and abroad, but especially the far-reaching influence of dancehall, which comes in for harsh criticism. "There is increasingly less creativity and fewer instruments are being used to produce the music," observes former parliamentarian and social critic Arnold Bertram, one of several prominent commentators interviewed by Barry and featured in the n early two-hour film. "The art of a society reflects the society," notes Peter Ashbourne, "and this Jamaican society is going through a lot of changes, deteriorating some would say." But Barry's film is not all fault-finding. 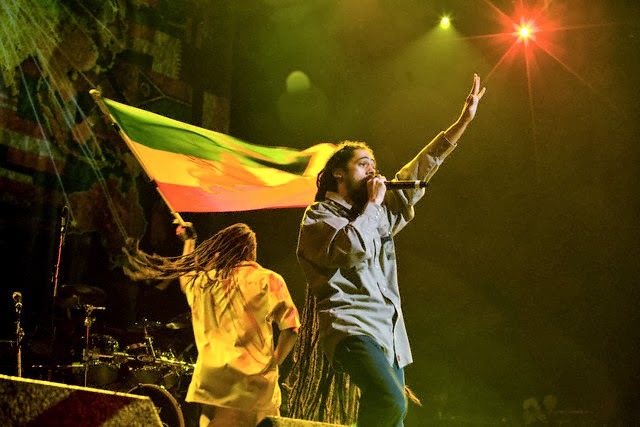 Elsewhere, it engagingly transports viewers back in time (to the era of mento and ska) and even to present-day Toronto (the filmmaker's current home base) where it seems the best musicians are heavily reggae-influenced. If nothing else, it is precisely this profound creative influence that Losing Paradise seeks to highlight, as well as the glaring risk of squandering such a precious resource. For at least one observer, it is time to hark back to the era of music as an instrument of healing, positive lyrics and messages of uplift. "Men like Bob Marley were natural healers and that's why the inspired people," psychologist Dr. Veronica Salter points out. "Nowadays, instead of spirituality our young people are being influenced by messages of overt sexuality, materialism and violence. And that's a very low consciousness. And if we stay at that level, we don't know what's going to happen. We have to be more mindful of what we're saying to the kids"